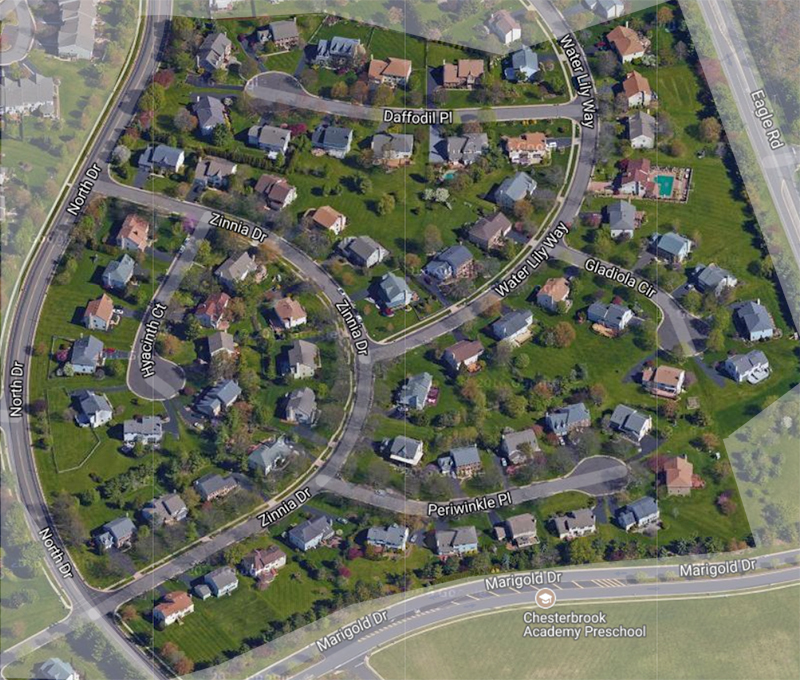 The Estates IV is that area comprised of 68 Newtown Grant detached, single family homes located on Daffodil Place, Gladiola Circle, Hyacinth Court, Periwinkle Court and Waterlily Way, in Newtown Township, Bucks County, PA. Access to this sub-neighborhood is from North Drive onto Zinnia Drive or from Tulip Drive onto Water Lily Way. These homes were built from 1987 to 1996. Median age is ca. 1989. Homes are generally a mixture of colonial and split level styles. Typical homes range from approximately 1,800 to 3,500 sq. ft. 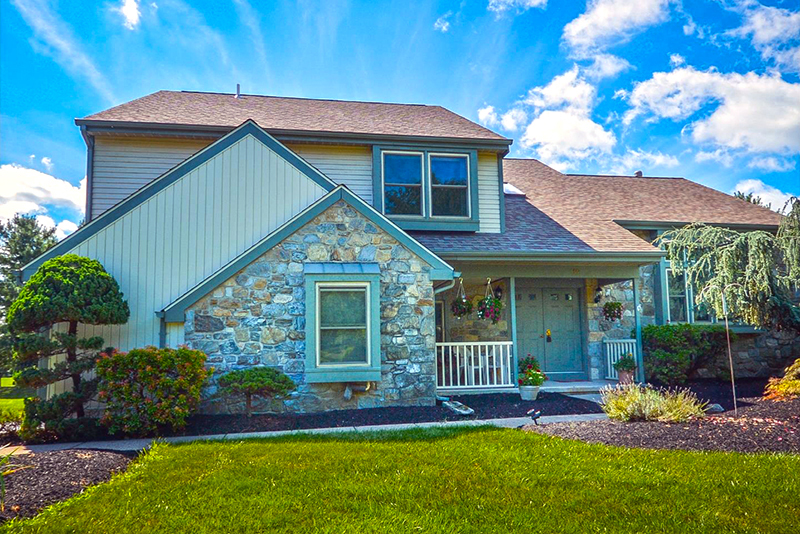 The homes have 4 to 5 bedrooms with 2‑1/2 to 3‑1/2 baths. Homes have 2-car garages and basements.